American Standard is living their legacy for more than 100 years. They have excelled and became the leading brand of plumbing. Now, they extended their specialty in building the best bathtubs, particularly the walk-in tubs. They focus on creating secure and healthier lives by improving the quality of their products over the years. The walk-in tubs are designed for elderly, differently abled, or anyone with mobility challenges. With the number people looking for the best walk-in tub, there is also an increasing number people looking for American Standard walk-in tub price online. The positive feedback from American Standard walk-in tubs mostly states that the bathtub they purchased is worth the money they spent. The Exclusive Air Bath Tub includes a Quick Drain patent for faster emptying of water. With this technology, it is said to drain the water in less than 2 minutes. It boasts its 21 air jet system, which provides energetic massages. Based on the reviews, this walk-in tub meets expectation and keeps everything it has claimed to be except the quick drain system. It functions well, even if the installation is still halfway done. The quality and the value fulfills everything they hoped for. The only negative feedback was that the water takes over 4 minutes to drain before they were able to open the door without spilling the water out. It has a Watertight door system, which includes a lifetime warranty for the door seal. It comes with the most advanced water-based technology. Provides a refreshing and soothing massage with its 21 air jet system. The quick drain function doesn’t behave as what was promoted. The second item in our American Standard walk in bathtub reviews is the Gelcoat Value Series Air Bathtub. It is durable and constructed with hi-gloss gelcoat. Its contoured seat gives a more enjoyable soak and ease of sitting. There’s lesser chance to slip, and there’s more bathing independence, thanks to the built-in grab bar and the textured floor. It also features a leg only massage by simply filling only half of the bath. Based on the feedback from the customer to this hot tub, it helps ease arthritis. It even softens sore muscles and calluses. After each use, the spouse of one customer feels romantic, which is why they feel like it’s a fountain of youth. It has a spa system which provides revitalizing massage. 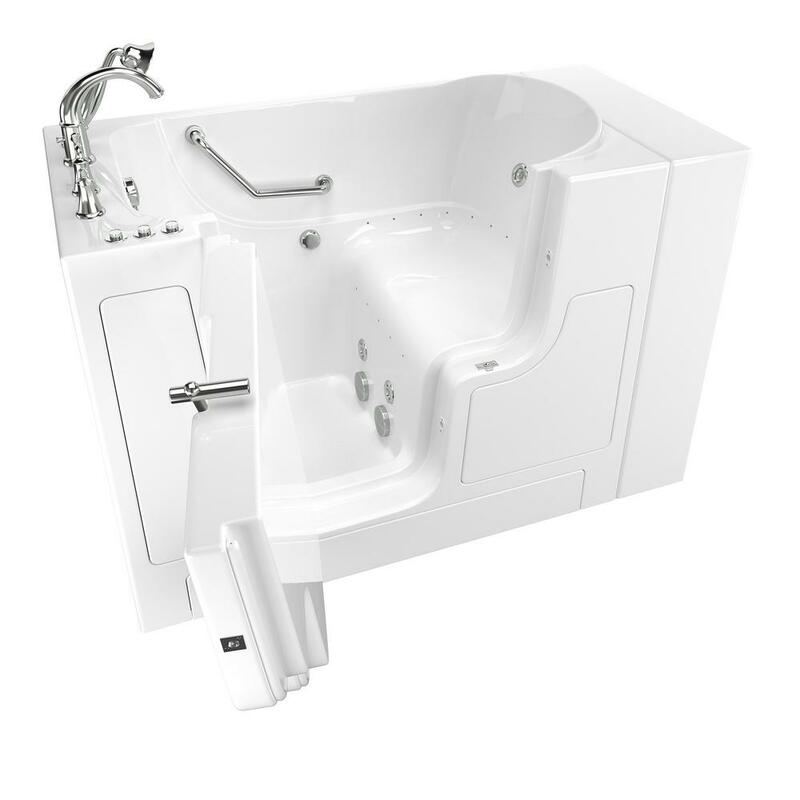 This features a Whirlpool massage system and in-line heater to moderate the water’s heat. It has a button control that is easy to touch and operate. It also offers the newest in safety and warranty on its components and features. The seat in the tub is not heated. Bathing with multi-colored chromotherapy light system can only create a tranquil atmosphere for a more relaxing bathing experience. The Gelcoat Premium Right Hand Walk-in Whirlpool doesn’t come short with its soothing features. You won’t be needing a shower cleaner because this hot tub has its own cleaning system. There are customers who are highly satisfied with this walk-in tub. The tub is well-built and has all the option and features they were hoping for. It also has a brilliant safety factor. It is excellent enough to be recommended to friends. The negative feedback that this bathtub received is that certain pieces were missing upon arrival and the drainage system was not working when they tried it. The customer service responded quickly by sending the missing features and replacements. They got delayed for a few month, but the installation crew went an extra mile by installing a wider drain pipe for quicker water drain and installing an adjustable wall bar so that the shower kit can be used as a regular shower with a closed shower curtain. It has a 26 air jet system that provides an advanced water-based therapy. Its speed heated blower is changeable, which promotes circulation through thousand tiny bubbles. It has self-cleaning ozone sanitation system. This offers the newest in safety and warranty on its components and features. The quick drain feature did not work the first time. 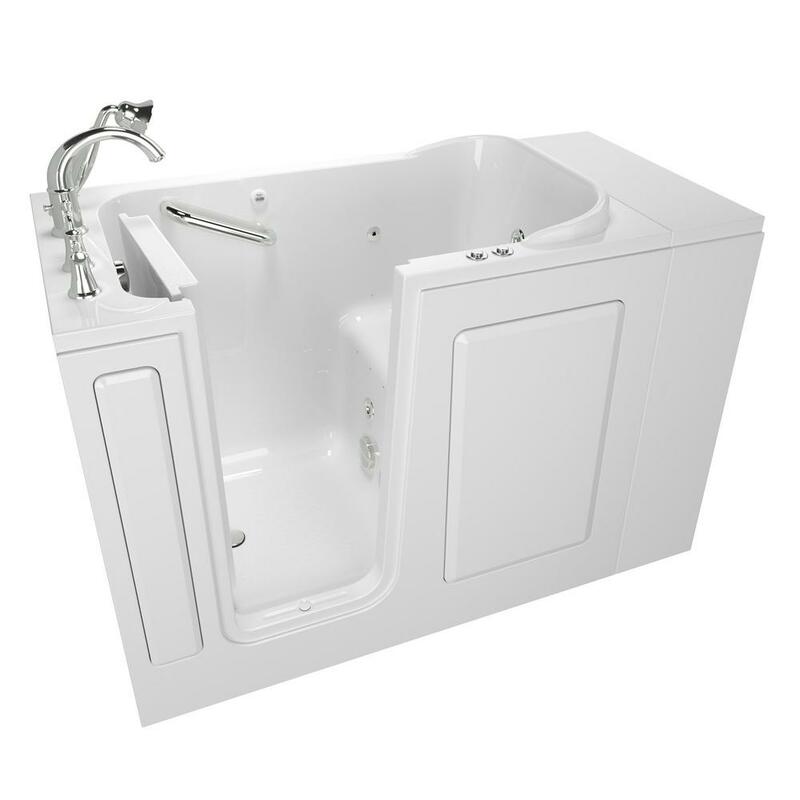 This attractively designed acrylic whirlpool tub has watertight door system, which is positioned to the left. The drain can also be found on the left side. It features water jet system and self-cleaning functions. The tub comes with built-in seat, safety bar, and easy to touch controls. Based on the feedback for this tub, its installation went smoothly because it is easy to set-up. The design and construction are also commended. It is good value for money, and the design is pleasing to the eyes. It comes in Linen color, which matches the safety bar and the drain. It has 13 water jet system that provides a deep tissue massage experience. The tub is made of 100% premium acrylic cast. The shipment may take longer than promised. 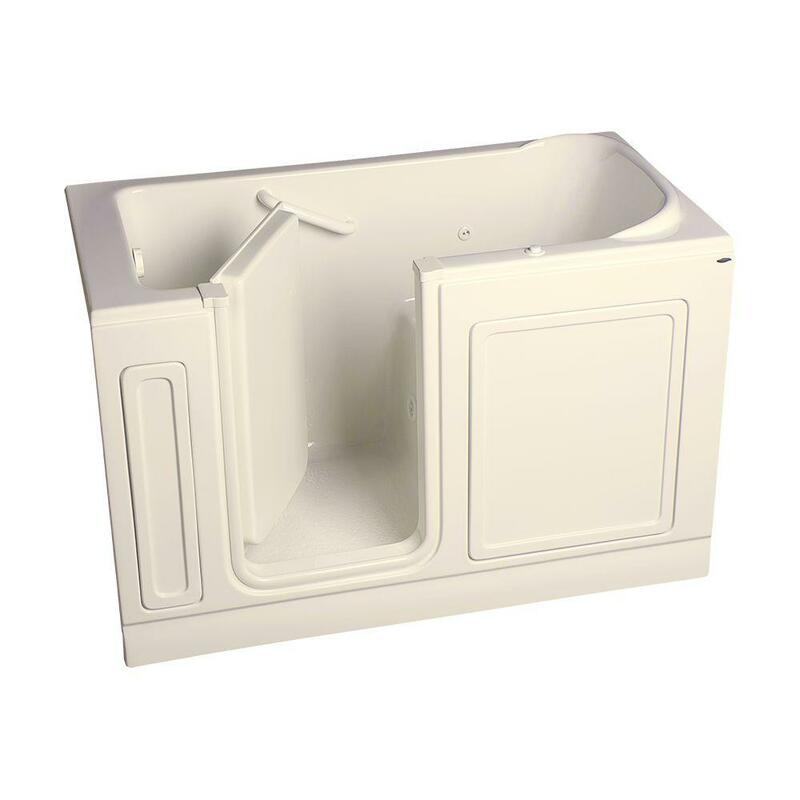 The acrylic luxury left-hand walk-in whirlpool is loaded with up to date safety features. It comes with a lifetime warranty on the door seal. 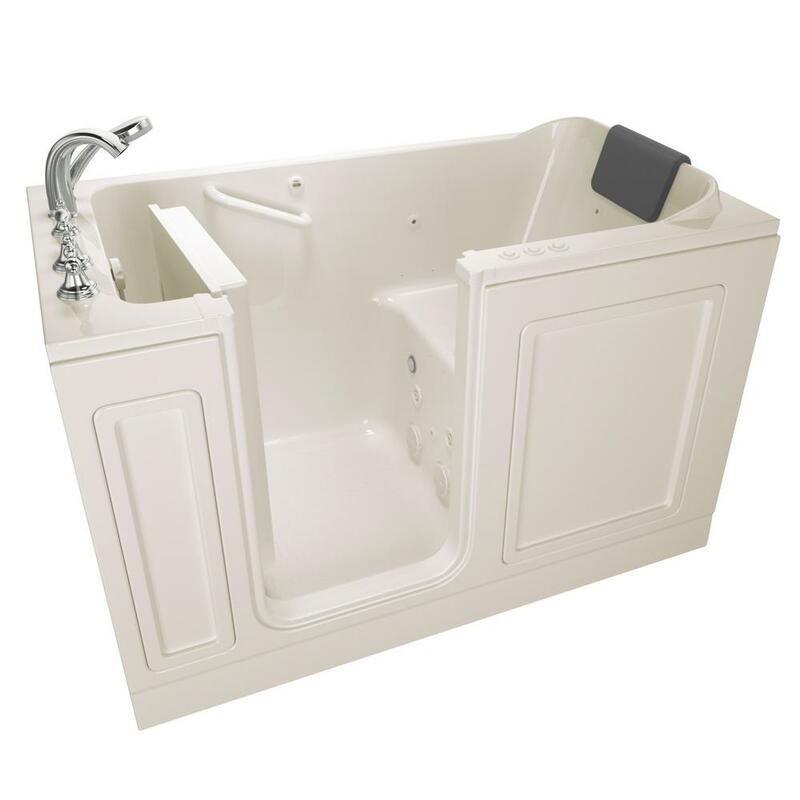 It also provides a 15-year warranty on the tub shell while the other components have a 10-year warranty. This tub also highlights its whirlpool massage system with a water heater. Owners of this bathtub have left no feedback yet. 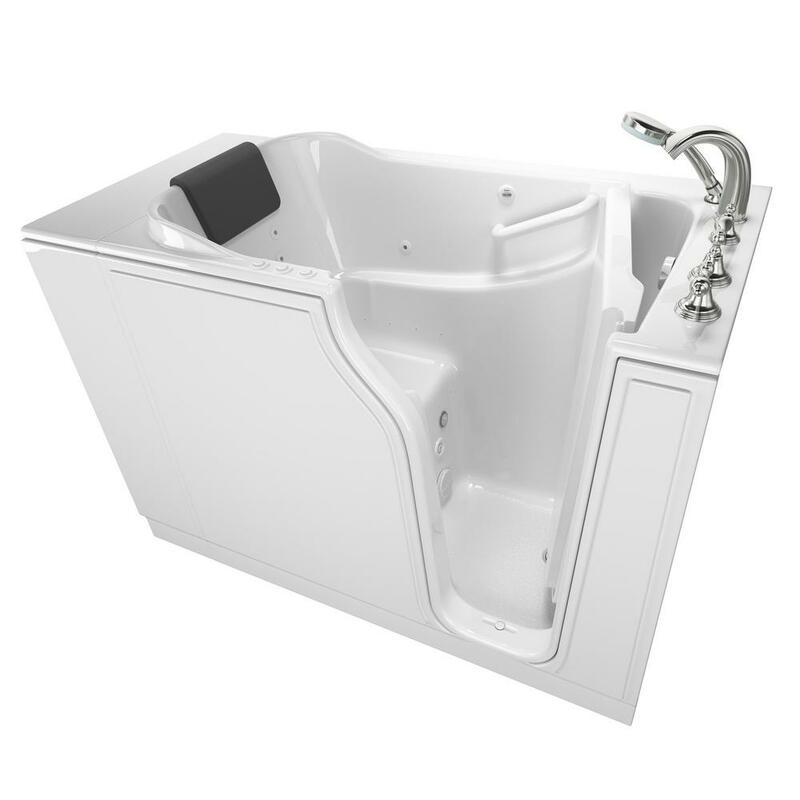 The tub is free standing; however, there’s no end panels available. Using these American Standard walk in tub reviews, we recommend getting the Acrylic Luxury Left Hand Walk-in Whirlpool. While each one of the item in these American Standard Whirlpool Tub reviews provides the key features of a walk-in tub, the Exclusive Series Air Bath Tub and Acrylic Standard Series Whirlpool Tub don’t offer an intensive warranty for the tub parts. Although the Gelcoat Value Series Air Bathtub and Gelcoat Premium Right Hand Walk-In Whirlpool has Gelcoat finish, which is both strong and durable, Acrylic is easier to clean which would still look newer and clearer the no matter how long it is used.